In 1971, a war which took place in Pakistan that resulted in the establishment of two separate countries; East Pakistan became Bangladesh, leaving the remaining four western provinces to comprise a truncated Pakistan. This book examines how literature by those who remained Pakistanis acts as a cultural response to the threat the war posed to a nationalist identity. It provides an analysis of the writing by Pakistani authors in their attempt to deal with the radical shock of the war and shows how fiction about the war helps readers imagine what the paring down of the country means for any abiding articulation of a Pakistani group identification. 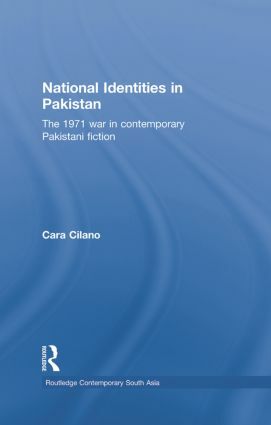 The author discusses English-and Urdu-language fictions in the context of the historical debate about Pakistani nationalism, including how such nationalism informs literary culture, and in the contemporary interest in official apologies for the past. The author organises the literary analysis around four key issues: the domestic sphere and the family; the territorial limits of citizenship; multiculturalism, class, and nationalist history; and diasporic imaginings of the nation. These issues resonate across the fictions in both languages and the author's analysis of them traces how these works grapple with changing notions of what it means to be Pakistani after the civil war and offers an interesting discussion to studies in South Asia.